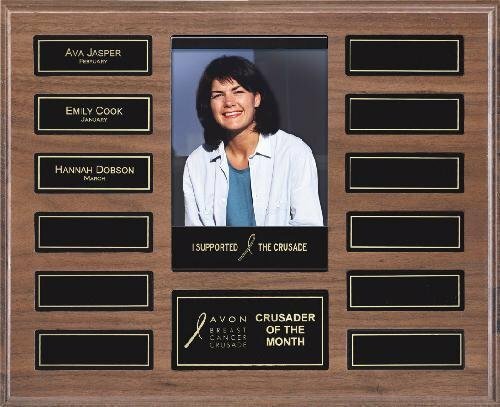 Monthly Perpetual Plaques allow provide an individual plate for each month in a year. 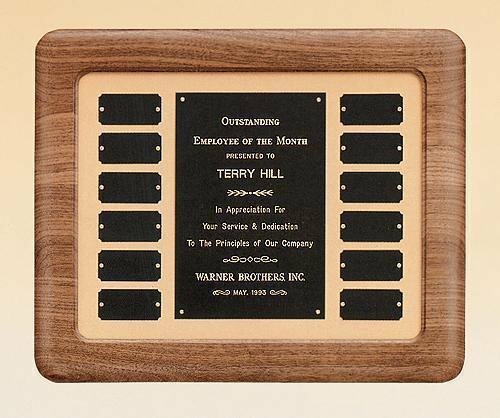 As an employee of the month plaque, a perpetual plaque ca be used to recognize the employee who has excelled above the rest for each month. 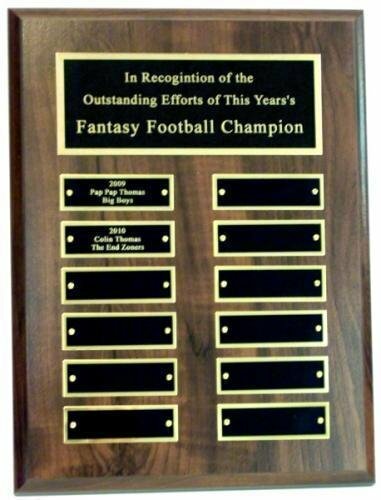 Employee of the month plaques are a great way to encourage a little employee competition. 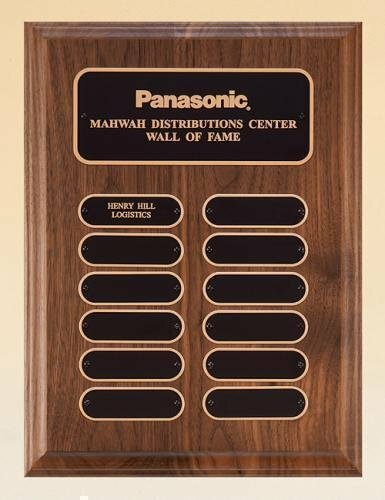 To further encourage those top performers, consider displaying the perpetual plaque in a main corridor and giving the individual an other business award to keep in thier office. The economy perpetual plaque is on a cherry finished MDF plaque. The individual black brass plates are 7/8" x 2 3/4". 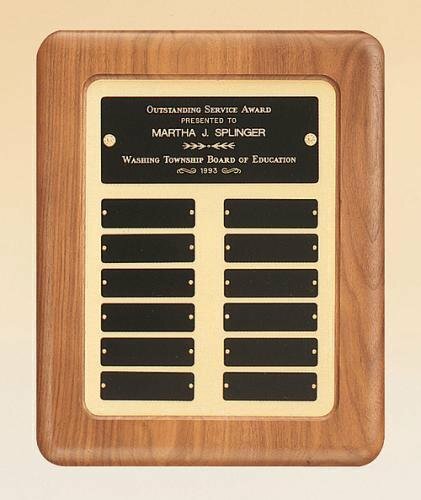 On this perpetual plaque, the black brass header plate and individual leaf plates are laser engraved. Your logo can usually be engraved at no additional cost provided that vector artwork or a high quality black and white image is uploaded during checkout.